Aristocrat Leisure Limited, often called Aristocrat for short, is a Sydney-based Australian software developer that has made a real name for itself in Europe. In the gambling industry, this is no simple feat, but the brand has worked diligently to earn that reputation. Its greatest successes have come in no small part due to slot and video poker machines that have been well received. Aristocrat’s success beyond Australian borders is not limited to Europe. The company has achieved great success and even has offices in the United States, Russia, Japan and South Africa. Additionally, there are more than 200 unique websites through which gamers can access Aristocrat’s online games. Aristocrat makes physical slot machines and video poker machines as well, and those machines can be found in casinos, pubs and other establishments throughout the world, including Las Vegas. The history of Aristocrat begins with the first slot machine created by Len Ainsworth in 1953. Even back then, the company was recognized for introducing something unique to the market. In 1996, it was listed on the Australian Stock Exchange. That listing, which was unusual for a company like this at that period, transformed the brand and prepared it for great success. At this point, Len Ainsworth moved on to chair a new company Ainsworth Game Technology, but he retained a lucrative stake in Aristocrat. Despite great change at times, this brand has flourished for more than 60 years. It has a presence in more than 200 regions worldwide, and it has more than 2,200 employees across the globe. Like all companies in the gambling industry, Aristocrat has faced great challenges continuing to grow. At one point, Aristocrat struggled due to scope of its product line. Eventually, that scope was limited to just slot machines and games and video poker machines and games, and that allowed the brand to innovate and be profitable in both the traditional and online markets. This innovation isn’t limited to just the games themselves. Aristocrat has developed digital networks that support and allow management of these slot and poker games, and these are a type of system that only a few companies in the industry are using. 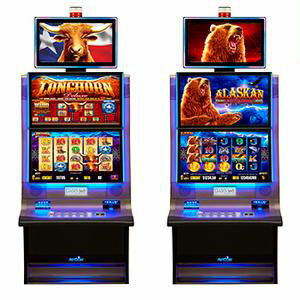 The company has also made innovations in the computerized tables themselves that are used in casinos, pubs and arcades. Aristocrat also innovated the Reel Power System, which replaces traditional bet lines with ways to win. This allows for 243 win patterns on standard slot machines, and many other companies have emulated this format. 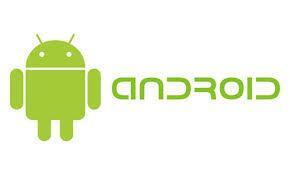 Aristocrat is also very much aware that mobile is the future of the industry. Soon, more users will connect to online casinos with smartphones and tablets than with desktop PCs. Early on, before mobile casinos were all the rage as they are now, Aristocrat was developing versions of its slot machines that are playable on Android and Apple devices. That audience is massive, and now practically every new game Aristocrat releases supports mobile platforms. The fact that so many online casinos want to partner with Aristocrat is understandable, but those relationships go far beyond games. Aristocrat also develops a number of technical solutions that casinos can take advantage of. Perhaps the technical innovation that has helped Aristocrat most is a platform that allows an online casino to not only integrate Aristocrat games but games from other developers. Whether it’s a matter of support or logistics, Aristocrat is there for its partners. Aristocrat’s newest casino games have people talking. A great example of this is Queen of the Nile, which has driven a lot of traffic to online casinos due to word of mouth. Queen of the Nile provides a highly polished entertainment experience, and it has a distinct style and unique elements. It certainly doesn’t hurt that the game also offers a lucrative jackpot system. That’s only one game, see also Pompeii or Where`s the Gold. Sometimes Aristocrat will publish an entire series at a time, and a series can include 20 or more games. All Aristocrat casino games work on the same principles. That doesn’t mean that gameplay is same-y but certainly consistent. A common Aristocrat approach is to provide the user little ways to increase their chances of winning here and there. There are also standard options, such as coin size, bet level and so forth. There’s also always a Max Bet button, which gives you the easiest path to the top prize. It helps to familiarize yourself with Aristocrats slots, and once familiar, that knowledge will apply to all the different Aristocrat games that you play. A game’s unique pay table, which every Aristocrat game provides, is a great place to start. Most Aristocrat games are also available to play for free, which means that you can play with the settings and sample the game before risking any real money. Characteristics can vary from one Aristocrat game to the next. Simple slots usually consist of three or five reels with anywhere from a few to more than 20 bet lines. Aristocrat’s video slots tend to have a lot of action, and it’s not unusual for them to have seven spinning reels and a 100 symbol locations. The return-to-player and the odds of various features are usually consistent from one machine to the next. Unique characteristics aside, Aristocrat has a stamp that it places on every game, and if you put a three-reel fruit machine beside a complex video slot game, you can tell that they’re both Aristocrat-made. The greater the size of the jackpot, the more difficult it is to hit. That’s why Aristocrat always offers low jackpot options as well. Some users want to go for the gold. Others want to win more frequently. Games with a low prize are happier to pay out, and that means you can avoid long ruts. In addition, if you have the option to increase the bet line count, doing so can give you more chances to win each spin.